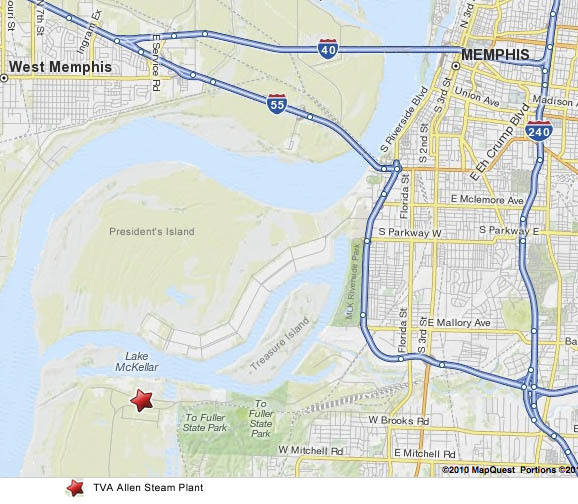 TVA’s Allen Fossil Plant is a spot on the riverfront most Memphians don’t visit, but interior least terns have made it their home this year. David Thorpe, TVA’s environmental program administrator, and Doug Keeling, manager of the Allen plant, have been watching over the nests. 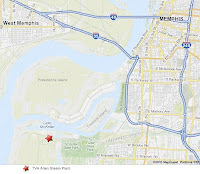 Click on map to enlarge. Tom Charlier reported on the unusual situation for the Commercial Appeal. Click HERE for the story.